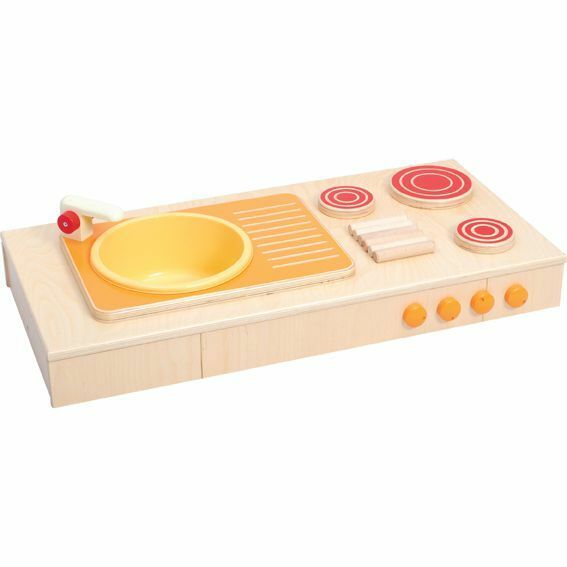 This kitchen top boasts a hot plate and sink makes a fun activity for younger years in classroom environments. It forms part of an exciting flexible mobile shelving and play system designed for preschool and primary school children. 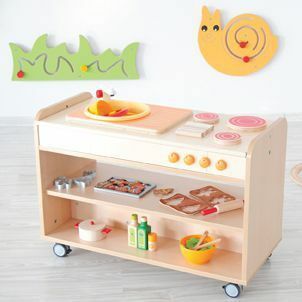 Various configurations can be achieved by selecting other top products from our Hayley mobile shelving and play system. The rubber grips to the underside of the top mount onto our Hayley Mobile Open Cabinet or to desktops, workstations, tables and can be repositioned with ease as classroom requirements change. A must for fun through learning activities. Free UK mainland delivery. Suitable for children aged three years plus.